Valley Machine and Tool spins and forms metal at our capable facility in East Tennessee. In addition to large production runs, VMT excels in prototype and short-run production because of our extensive experience. Spinning up to 90 inches, toolmaking up to 60 inches. are important to Valley Machine and Tool, regardless of quantity. Please send your spec to Valley Machine and Tool ! Valley Machine and Tool welcomes you ! We are in the Metal Spinning Industry. Our customers are primarily Aerospace Industries. We provide quality Metal Spinning and associated tooling and design services at affordable pricing. 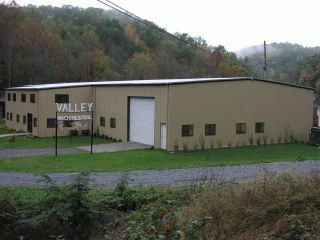 VALLEY MACHINE & TOOL, INC. The SR-71 uses our parts...(honest) !